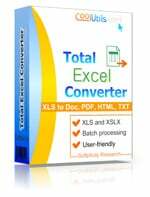 Win 2000/NT/XP/2003/Vista/7 If you have received some information in XML files but used to work with XLS (a standard Microsoft Excel format), you can easily convert XML to XLS with the help of Total Excel Converter. The program will export all data correctly with no need of manual formatting. 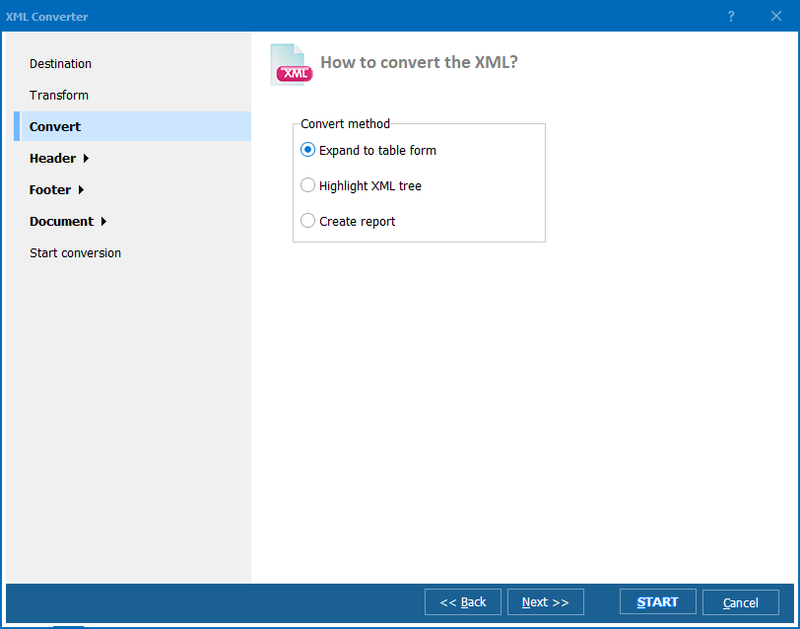 It is far more time-saving way of exporting XML data to Excel compared with manual copy-paste. 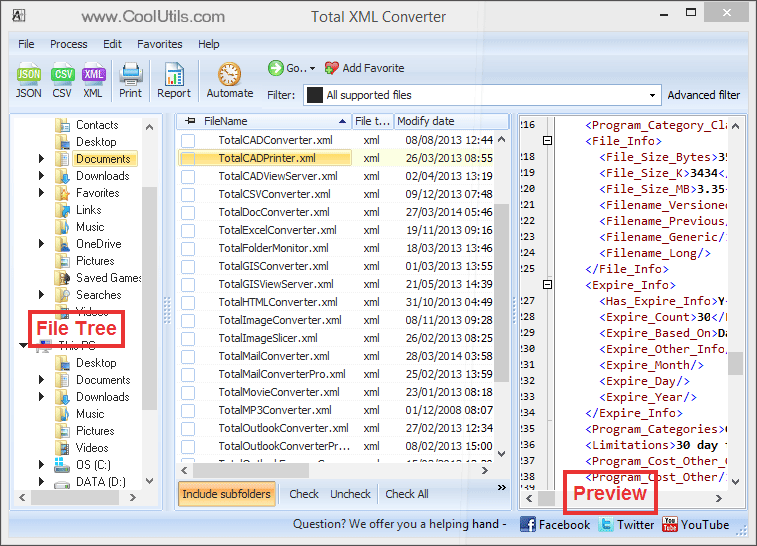 Moreover Total Excel Converter saves user’s time by offering to convert all required files at once. Just check all necessary files as sources and they will be converted. Making settings of destination address (optional) and starting conversion by pressing ‘Start!’ button. You are able to choose between different ways of handing the program. For instance, you can use its interface or enable it from the command line. 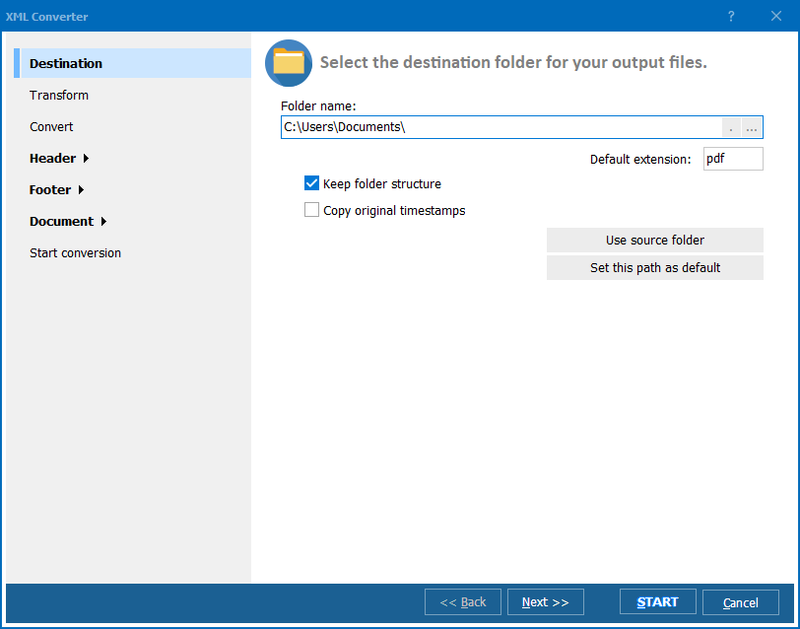 If you need to convert only one file located on your desktop, you can use ‘convert to’ option of file context menu that is opened by the right mouse click on a file icon.